Our Career Programs are made up of the Component Programs shown below. Students have the option to enroll in Component Programs individually or in combination to custom tailor their education to meet narrower vocational objectives. Below you will find short descriptions for these component programs. You can also click the Learn more button at the end of each paragraph to get more information about specific programs. The Recording Engineering and Studio Techniques program provides training in the concepts and skills of professional multi-track studio recording and mixing. Using a carefully crafted curriculum of lecture and hands-on training, this program establishes a solid foundation by teaching the scientific principles and concepts associated with sound and audio recording, and then applying these principles with hands-on activities in world class professional recording studios. The result is a thoroughly trained and exceptionally competent recording engineer, qualified to work in any professional studio, and capable of performing at the highest standards of the recording industry. Learn more. The Audio Production Techniques program educates students in the fundamental concepts and skills of multi-track analog and digital audio recording by borrowing the basic and intermediate sections from the Recording Engineering and Studio Techniques program. It then adds extensive education in advanced digital audio technology—including advanced, in-depth training in ProTools—and applies this knowledge and skill to the creation of recorded audio products through the recording, mixing, editing and manipulation of sonic elements in both the analog and digital domains. 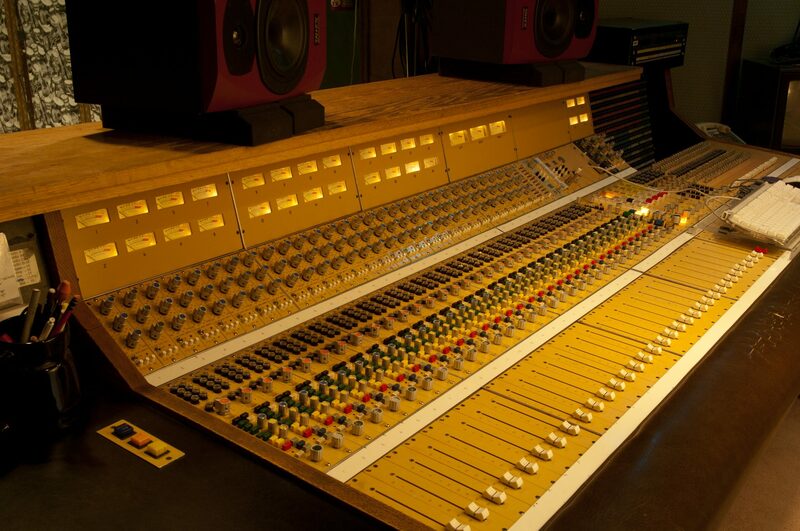 By establishing a strong foundation in the theories of sound and the techniques of professional recording, students gain valuable insight to the advanced skill set required in the modern day recording environment, which integrates both digital and analog technologies into one seamless system. This program prepares graduates for a wide variety of employment opportunities, including record production, audio production for radio, theater, commercial jingles, music beds, and a vast number of other areas that require basic recording skills along with advanced digital editing and manipulation of audio. Additionally, the linear and non-linear editing skills taught in this program will substantially enhance the employment status of studio recording engineers and live sound engineers. Learn more. The Sound Reinforcement for Live Performance program prepares students for the great demand for the talents of skilled audio engineers wherever there are live performances and presentations, as in auditoriums, concert halls, churches, nightclubs, theme parks, sporting events, convention centers, cruise ships, resorts, music festivals and hotels. Delivering the full experience of a truly inspiring live performance to a listener just can’t be downloaded or automated. And with all the changes in the music industry, recording artists have rediscovered touring and live performance as activities vital to their livelihoods. As a result, engineers who are ready to take on the challenge of perfecting a mix under the glare of the stage lights are in serious demand. Learn more. The Electronic Music, Synthesizers and MIDI program trains students in the computer based composition and production techniques that are prevalent throughout the music and audio industry today. “MIDI,” the acronym for Musical Instrument Digital Interface, is the technical standard for programming computers, and having them communicate with synthesizers and samplers to play music without live musicians. This technology is used for songwriting, beat production, sound for motion pictures, internet audio and club remixing. Composers today even demo complicated orchestral scores using desktop workstations and the sequencing and sound synthesis methods taught in the MIDI program at the Omega Studios’ School. Learn more. The Essentials of Music Business and Artist Management program educates students in the business practices, key legal concepts, and industry knowledge essential for building a successful career in music, recording or broadcasting. Learn more.